Garnet has been a Registered Massage Therapist for more than a 15 years and has further his expertise through continued education and practice. He decided to get into Personal Training early on his career to learn more about body mechanics, as well as apply what he already knows to better accommodate his clients' need. His skills come from different avenues of his learning career, budding from Massage Therapy to Muscle Activation Techniques to Matrix Repatterning, which he essentially applies to his treatments which ever is suitable to each individual client. It's important to get to the root cause instead of the symptomatic experience. The source of the dysfunction does not always present itself where the pain is located. 'The fun part in treatment is being able to collaborate all that I know to get to the essence of the problem.' Pain is just a warning so an investigation is needed to rule out what it isn't. He also gains knowledge through his many injuries and understanding how to build back himself to be able to train in many disciplines. Failing is part of learning and is vital in trying to succeed. He maintains to sharpen his skills by studying under innovators and thinkers in the field of not only health science but as well as Professional Athletes, Professors, and Clothing Designers to name a few. Originally from the Philippines and at a young age was helping move his Grandfather's limbs due to multiple strokes. He saw the importance of being able to move freely and to not take this for granted. He continues to search for methods that can improve the body in mind, body and spirit. Angela became a Zumba Instructor after realizing that she needs to stay active to keep up with her 2 young ones. She found Zumba has increased her energy, tone and boost confidence. Being a fan of latin music, Zumba was a perfect mix of music and fitness. She has currently taken Zumba Strong which is more martial arts based fitness with more emphasized on karate, kickboxing, boxing like movements. Come and join the party. Sign up today! Candice Ohrablo is a Manual Osteopath; Personal Trainer Specialist in Exercise Therapy with a special interest for Impact injuries in combat sports. When not being a live tackle dummy at a multidisciplinary combat sport gym; Candice hones her skills to aid and enable fellow training partners for drills and competition. As training accidents happen; Candice is called upon (often) to utilize her skills and is the on-site ‘injury consultant’. Most of her clients are persons with past injuries looking to start training in the demanding regime of Muay Thai, MMA and Krav Maga. 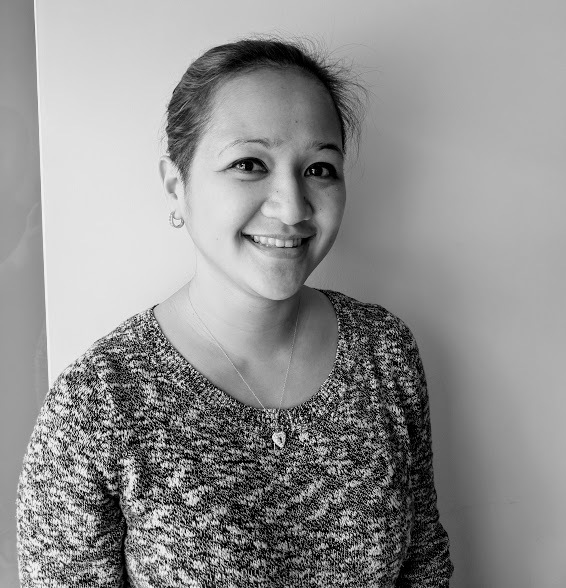 As a Manual Osteopath and Thai Massage Practitioner – Candice uses the quality of her sense of touch to palpate areas of restrictions in the entire body and uses best practices to align the bony and soft structures of the body allowing optimal flow of the circulatory systems and facilitate the healing process. Osteopathic techniques are used to stretch and strengthen the tissue surround the joints allowing normal range of motion. Chronic and Acute sprains / strains, Post surgery joint stiffness, Back pain, Knee pain, Shoulder pain, TMJ, Sciatica, Plantar Fasciitis, Tension headaches, Repetitive stress syndromes: Carpal tunnel syndrome, Tennis Elbow, Golfers Elbow. Keith is a Registered Massage Therapist and graduated from ICT Kikkawa College in 2018. His passion for improving his understanding of how the body moves also led him to receive his Yoga Instructor Certification in the spring of 2016 in Nicaragua while travelling through South and Central America. Keith’s approach to massage therapy can be attributed to his long-burning passion for all things health and fitness (Keith will be completing his personal training certification in the fall of 2018). This passion is second only to his simple desire to help people. His deep-tissue approach paired with his patience in helping the body to progress pair with his yogic teachings in a way that allows him to aim for more than just relief with his treatments, but remedy and results.